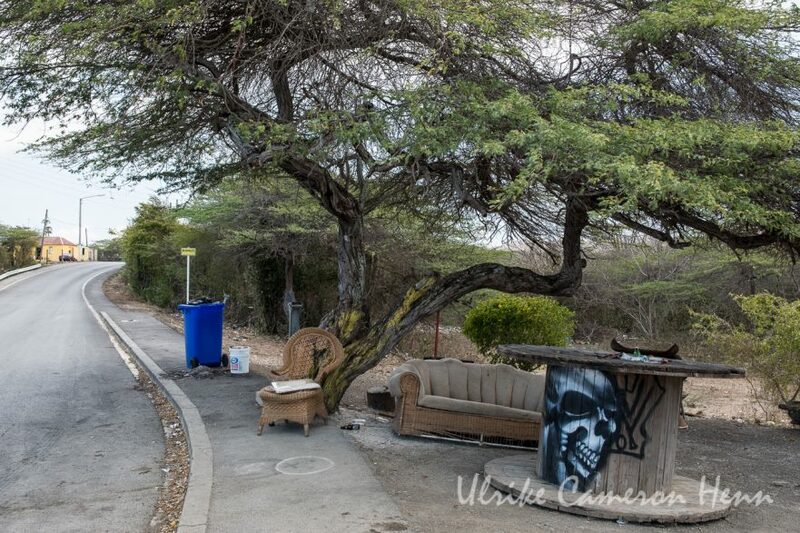 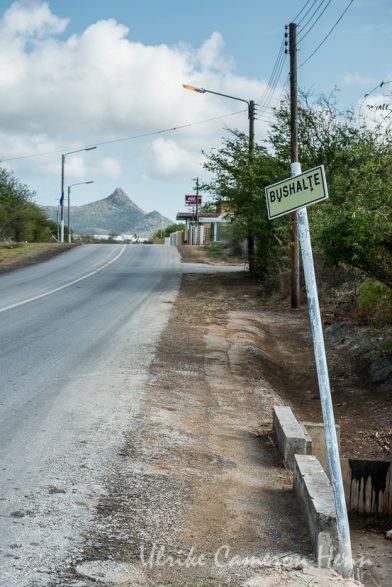 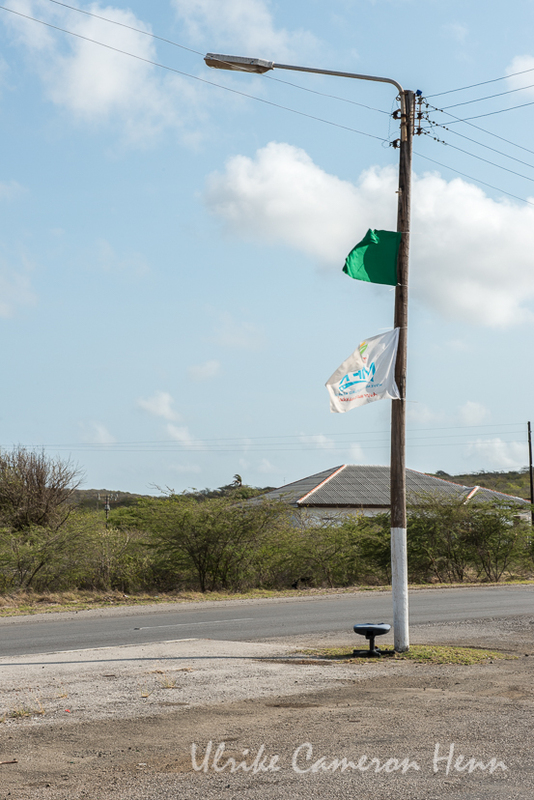 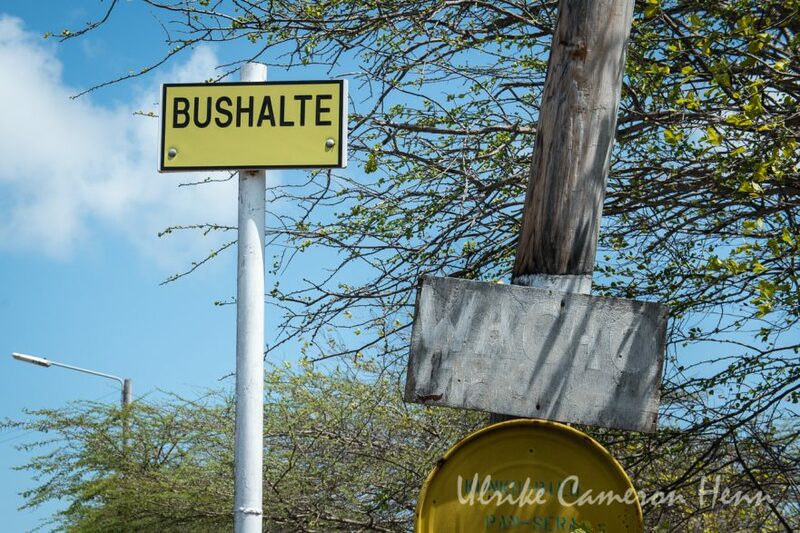 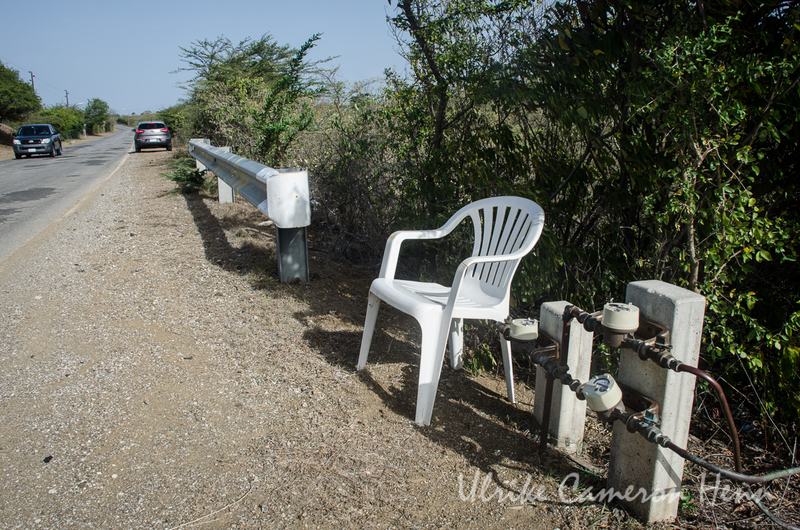 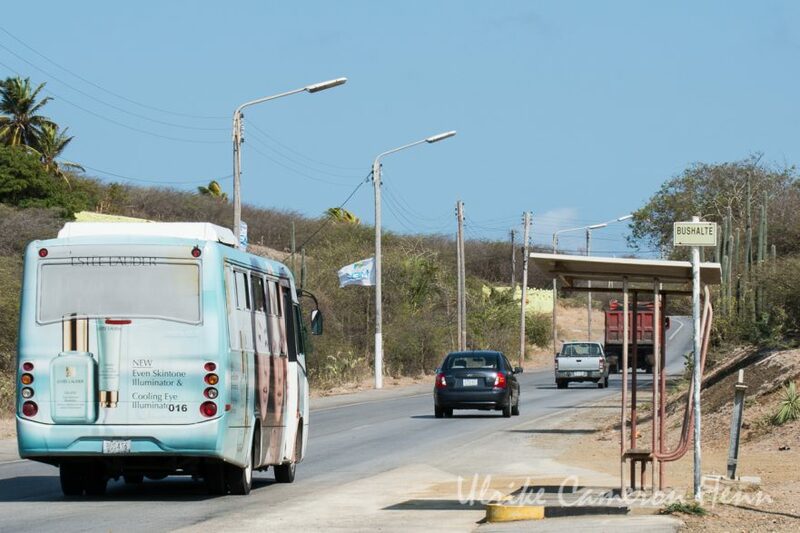 Bus stops are called Bushalte on the Caribbean island of Curaçao. 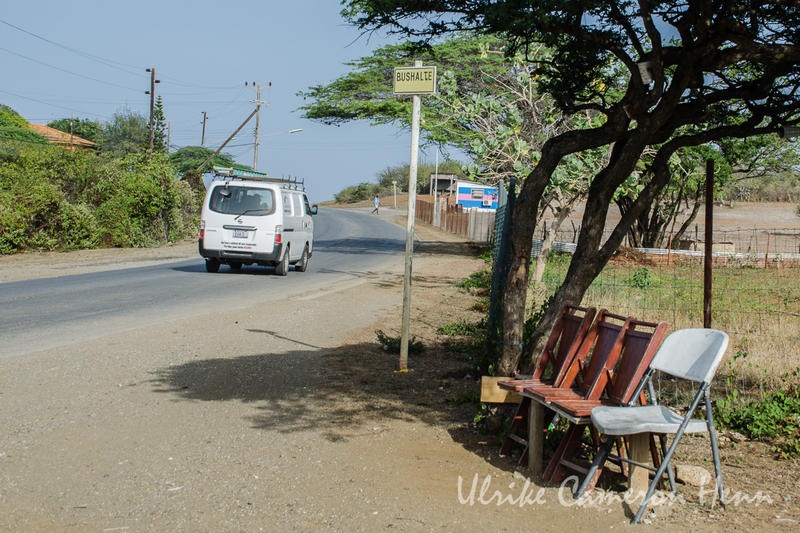 Picturesque and bizarre bus stops lined the main road when I visited the island for the first time in 2012. 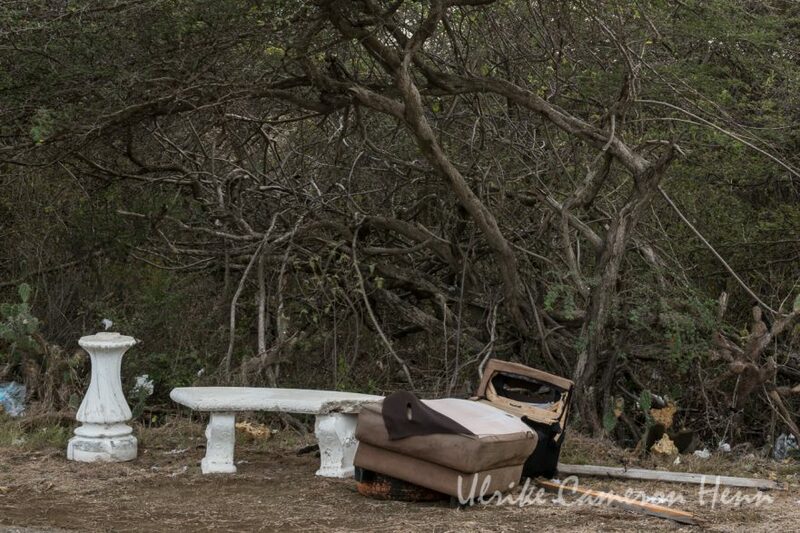 Old benches, broken car seats, office chairs without armrests, tattered recliners. 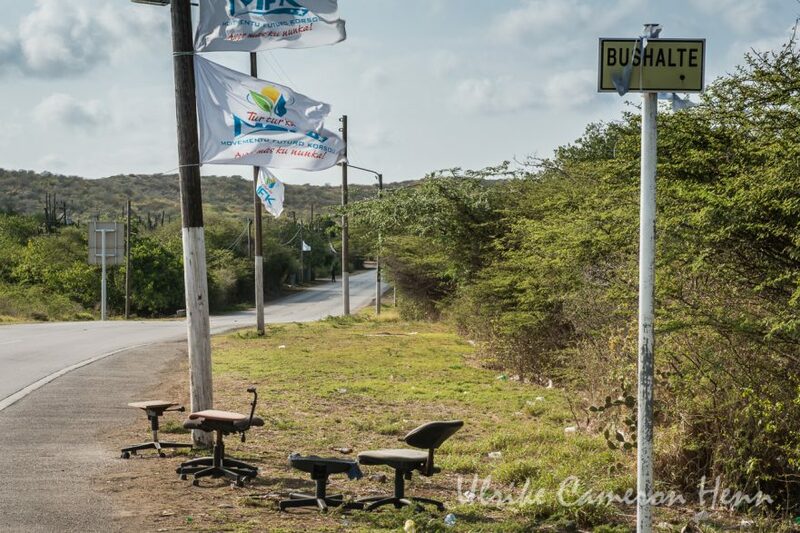 The bushalte reflects the easygoing attitude and imaginative spirit of the people of Curaçao. 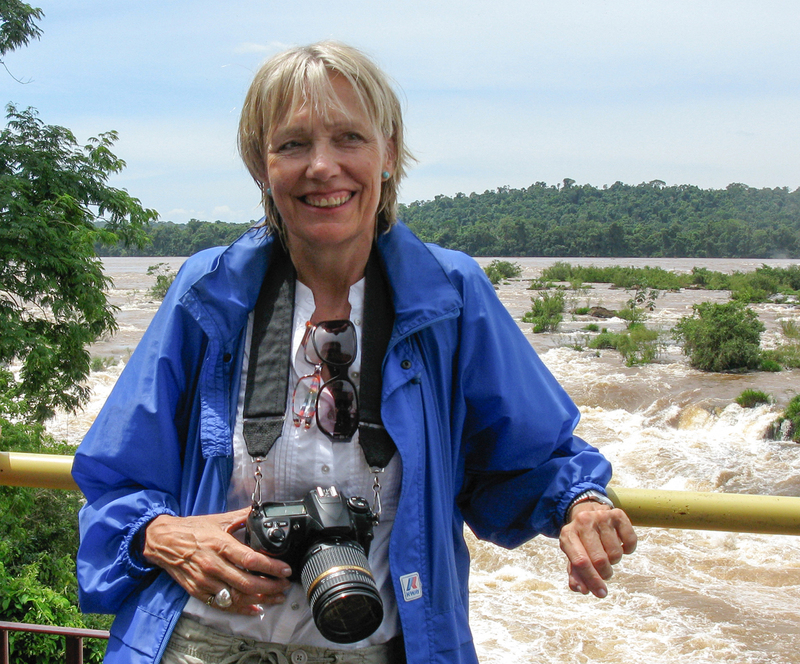 They echo the laughter and chatters held there over the years. 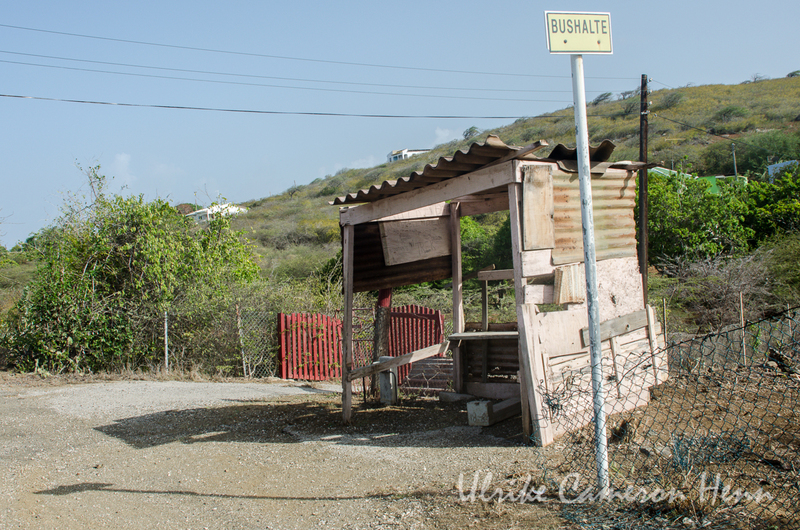 Many of the bus stops are gone by now. 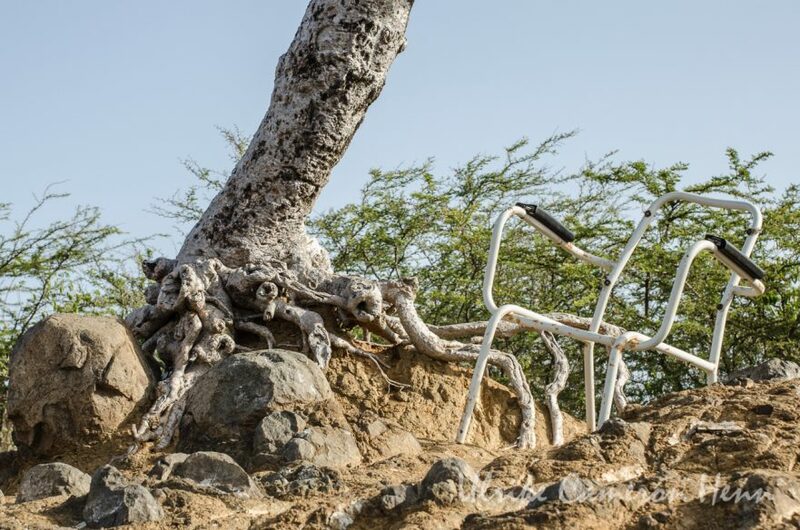 Most of all they deteriorate badly. 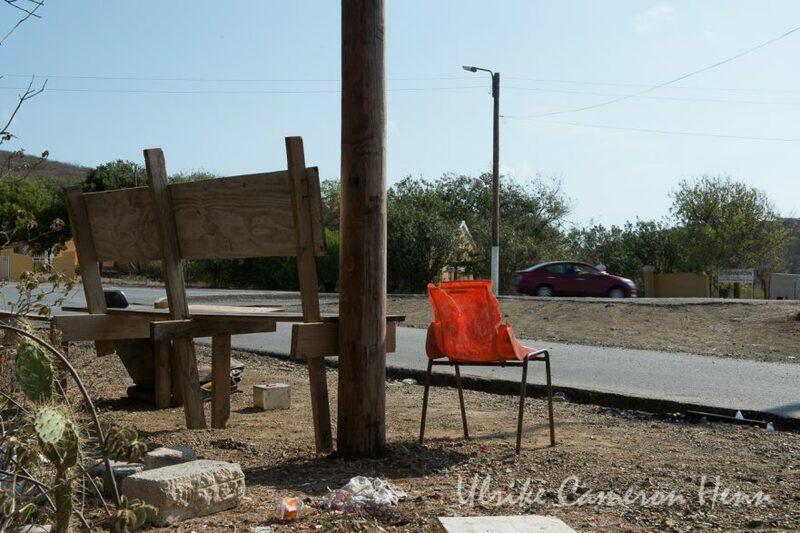 It seems like regular bus stops with prefabricated benches and corrugated iron rooftops are slowly replacing them.